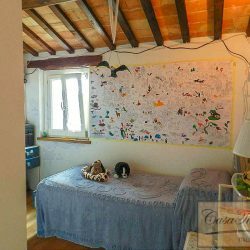 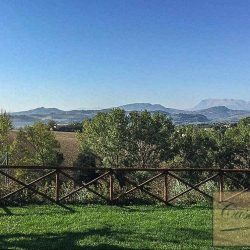 On a hill top with views of the Sibillini Mountains, 3km from a village, lovely restored 3 bedroom farmhouse with garden and panoramic pool. 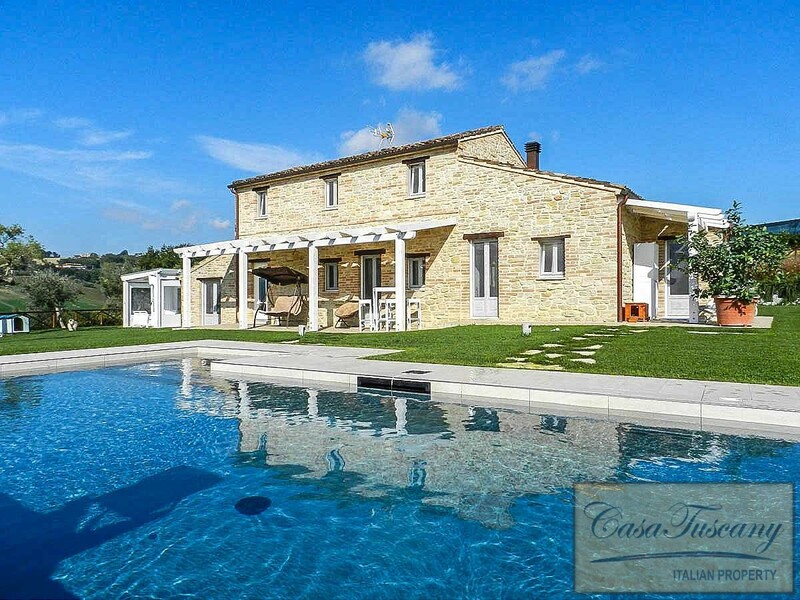 Mountain View Farmhouse. 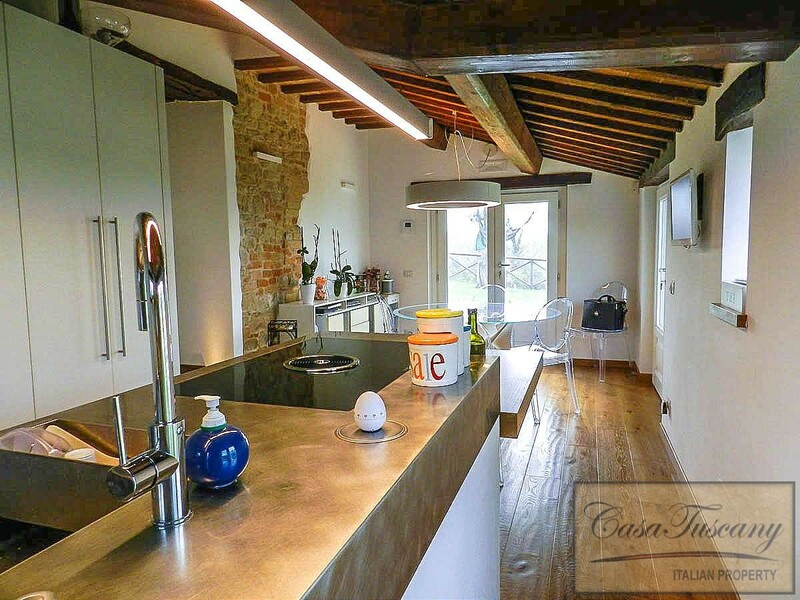 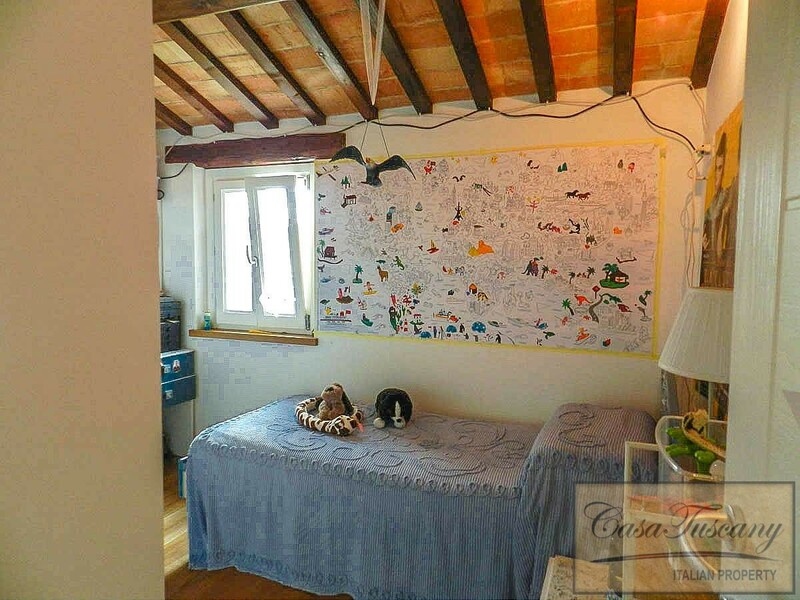 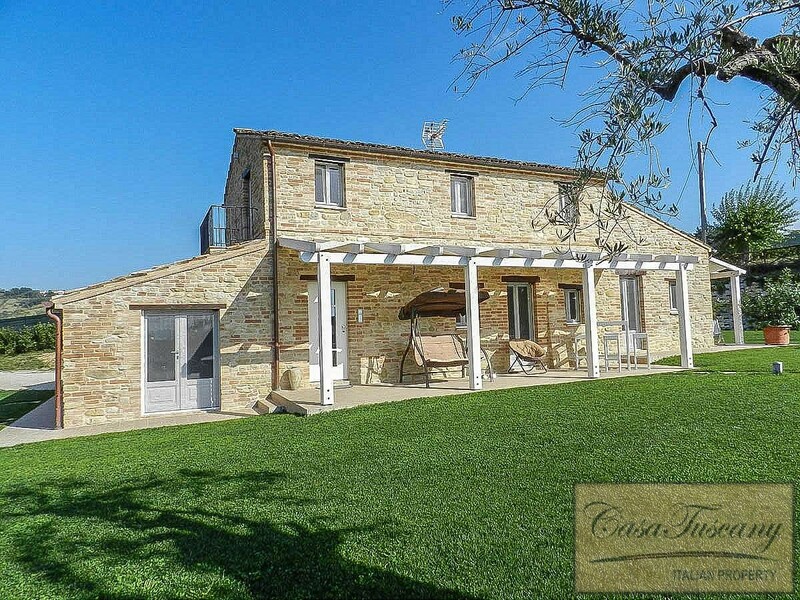 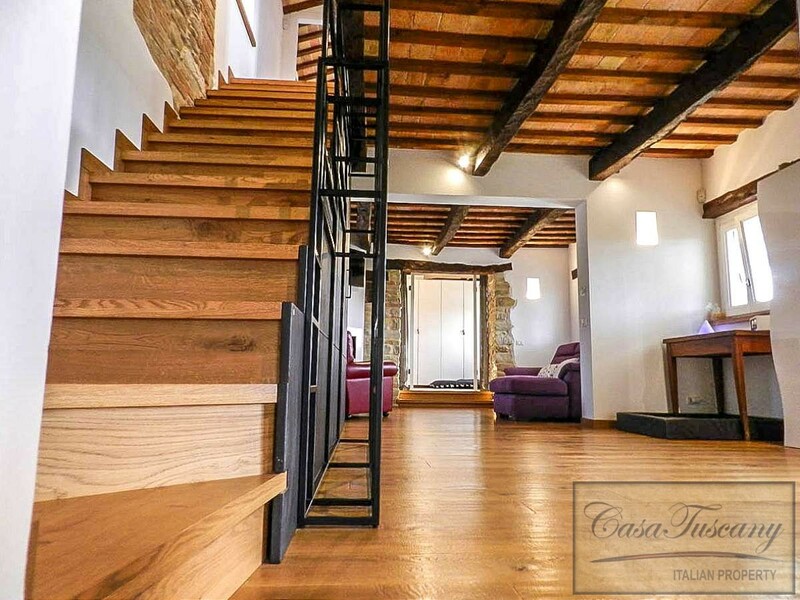 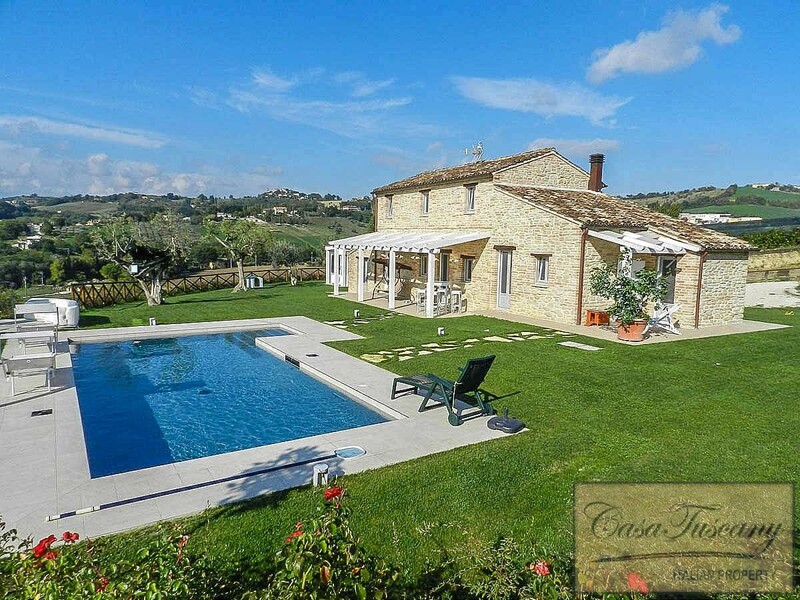 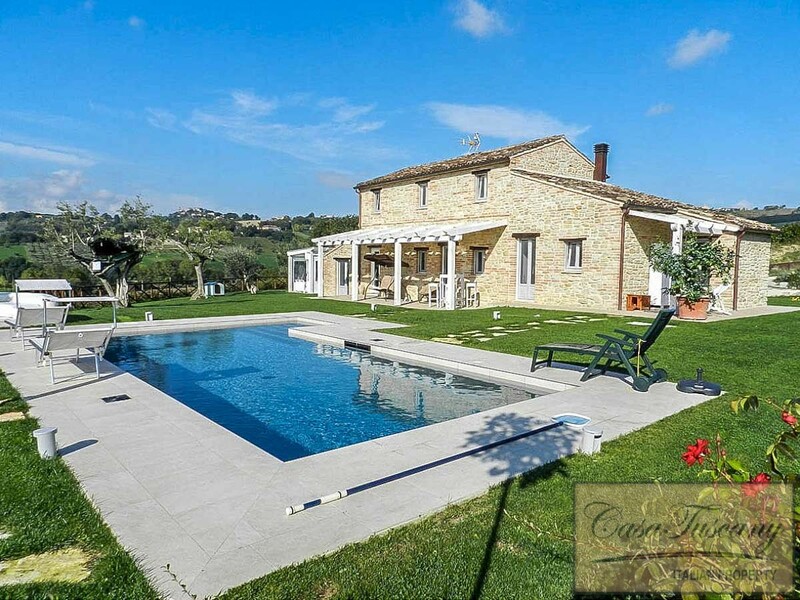 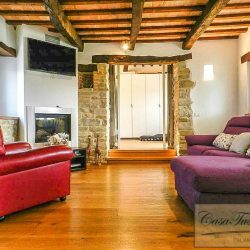 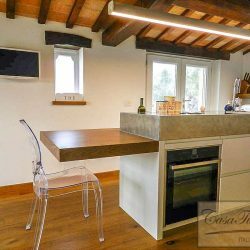 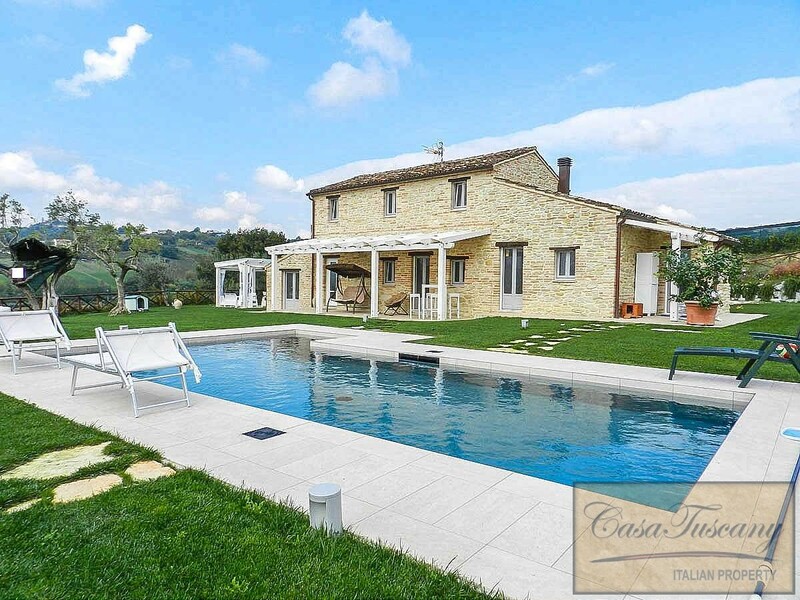 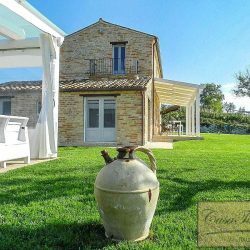 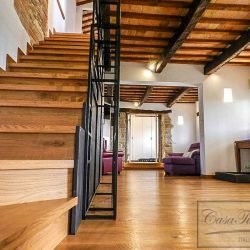 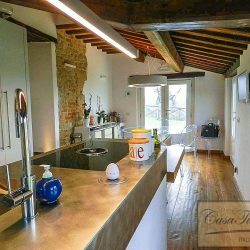 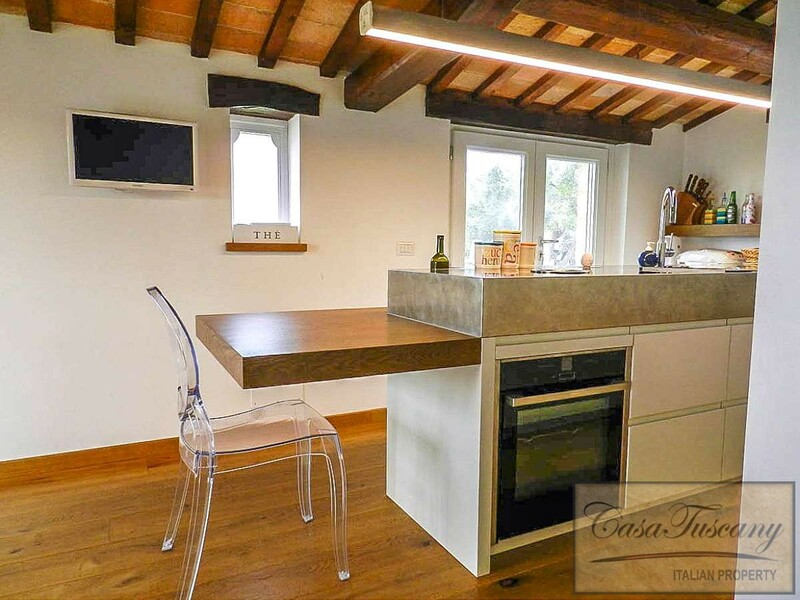 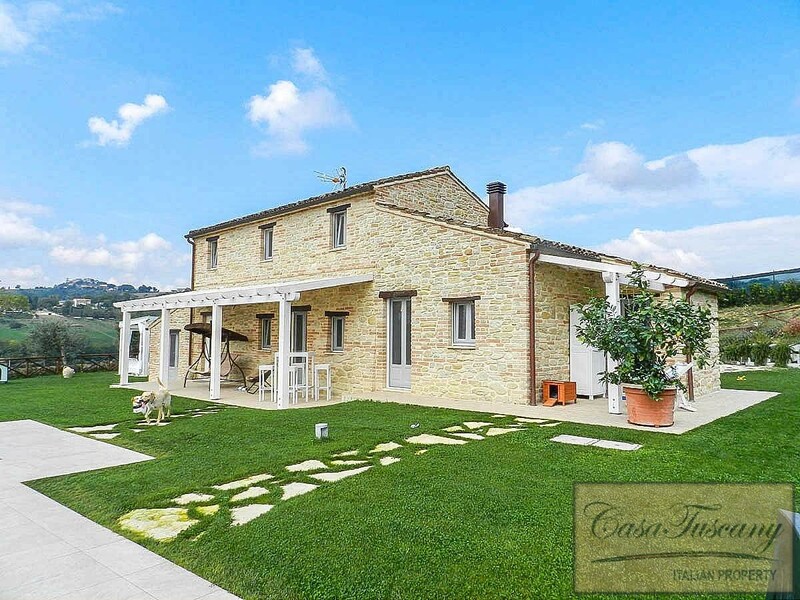 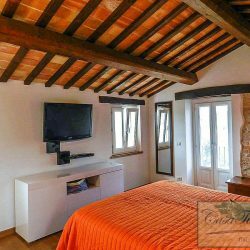 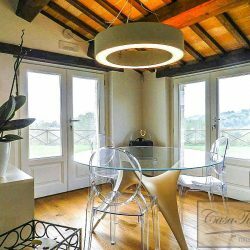 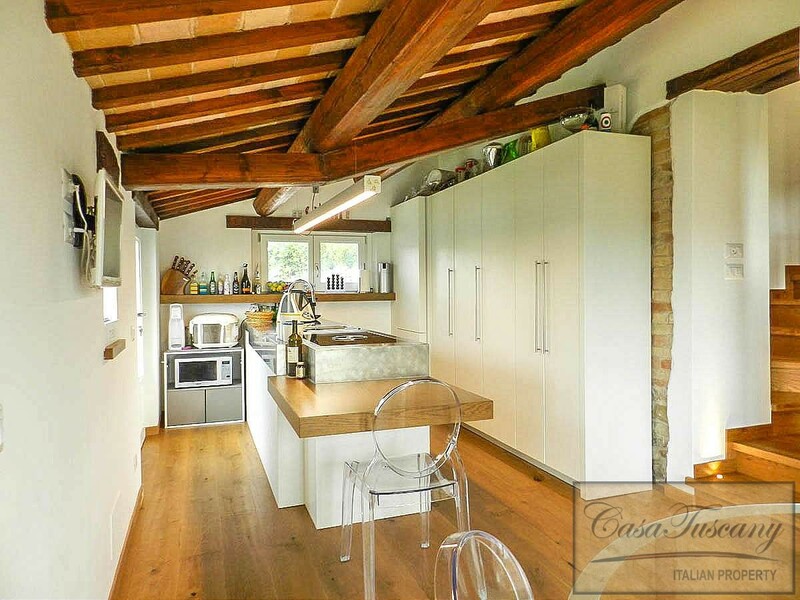 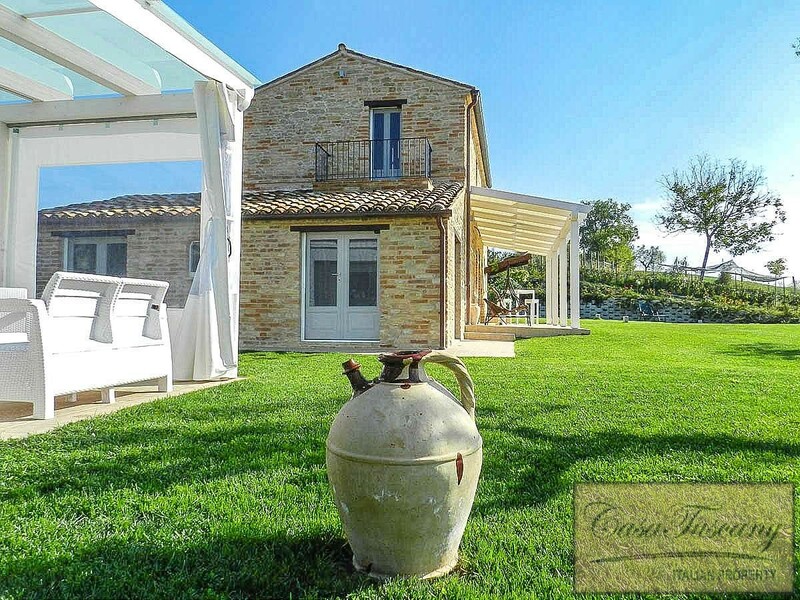 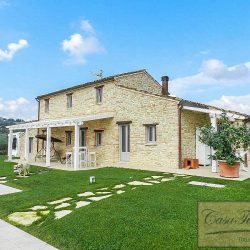 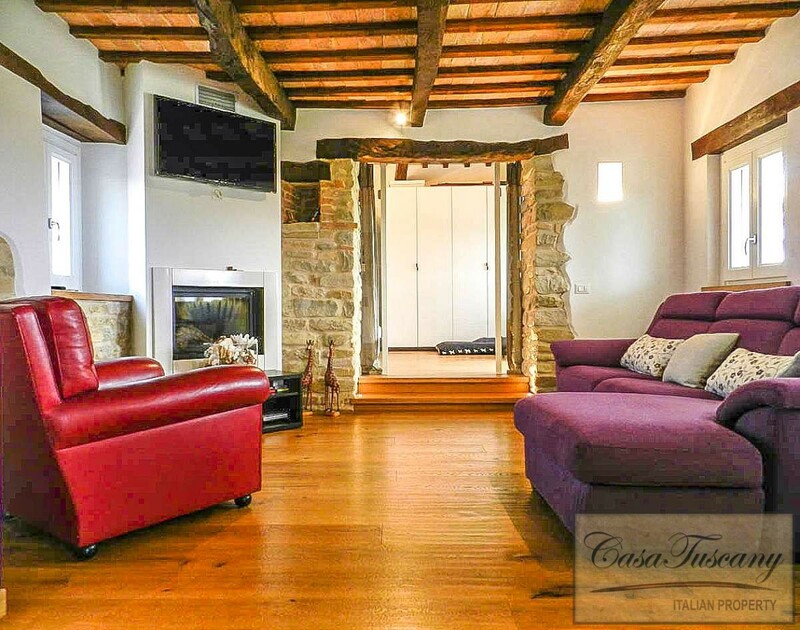 This recently restored farmhouse is located in the province of Fermo, a few minutes away from the medieval village of Monte Vidon Corrado with all its services and Summer art festivals. 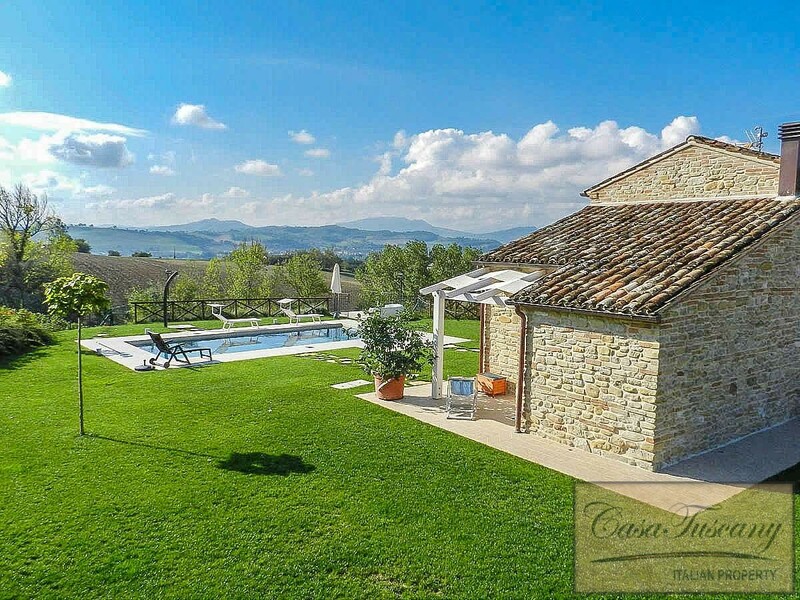 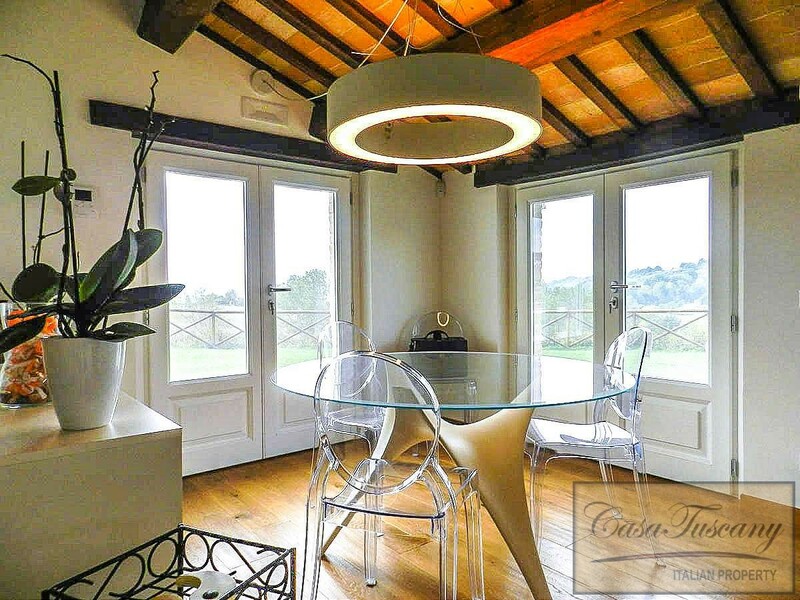 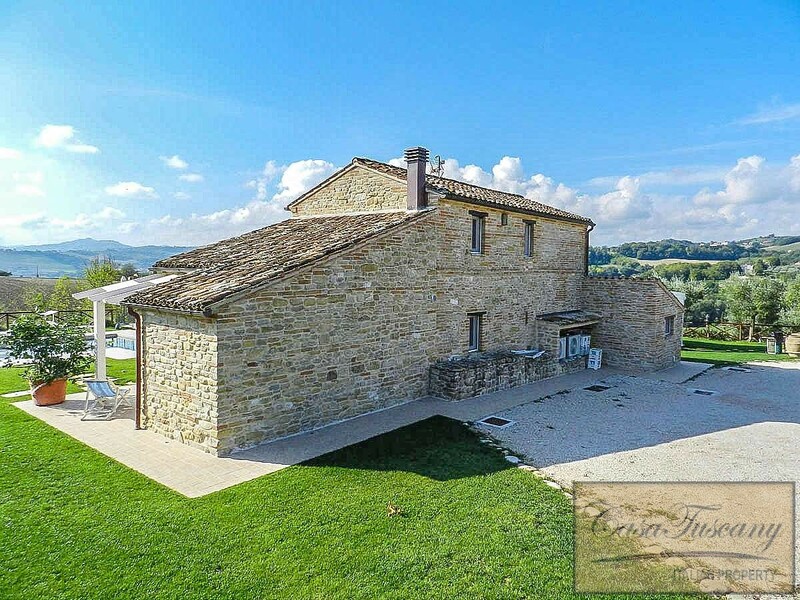 South facing, it sits on top of a hill, at the end of a private road and enjoys panoramic views of the surrounding rolling hills, the hilltop towns and the Sibillini Mountains. 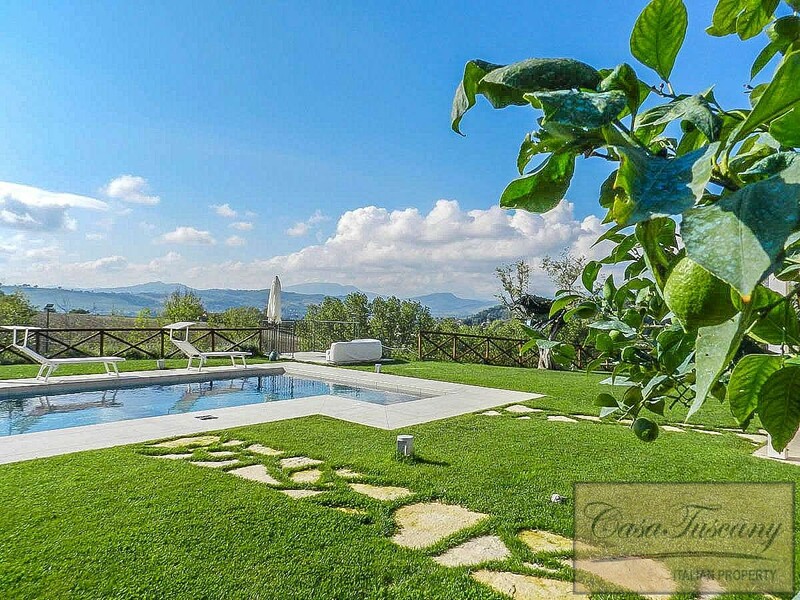 The mountains and the sea can be reached in 30 minutes. 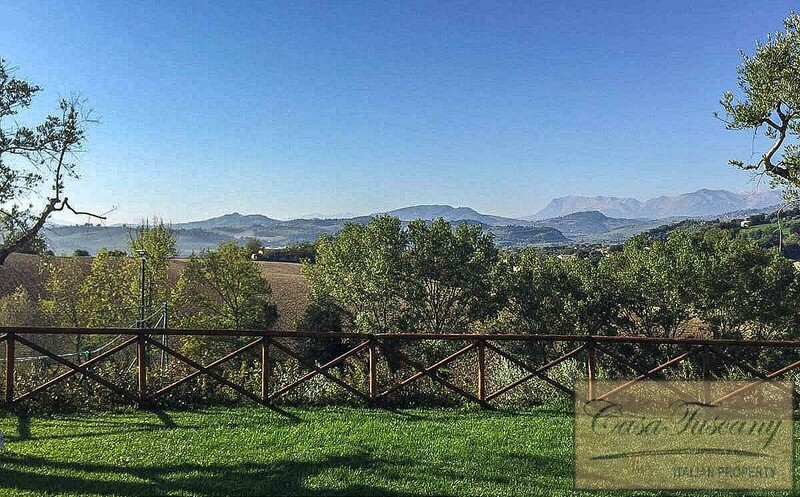 The town of Falerone, famed for its production of straw hats, is 6km away. 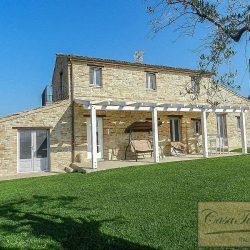 The property comprises a 3 bedroom farmhouse set in 4,700 sqm of landscaped gardens with a beautiful private swimming pool. 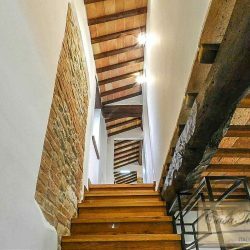 The original building dates back to 1826. 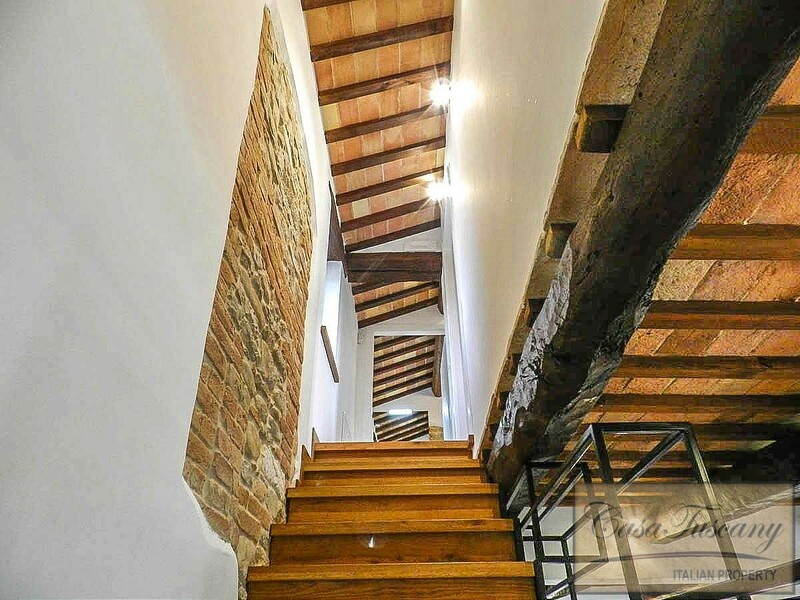 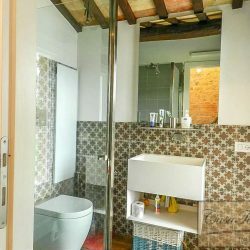 Restored to a high standard, it combines lovely original features such as its doors, window frames, floor and wall tiles with the most modern building and anti seismic technologies. 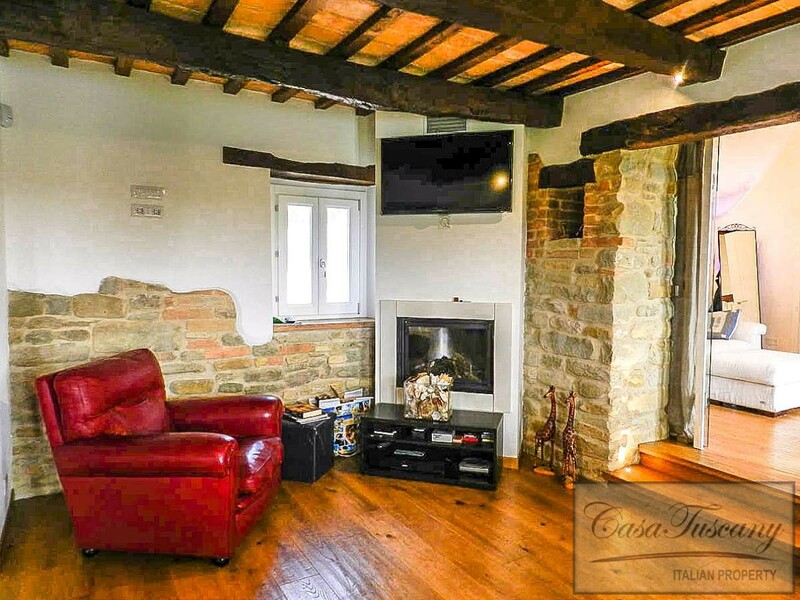 The house is being sold furnished. 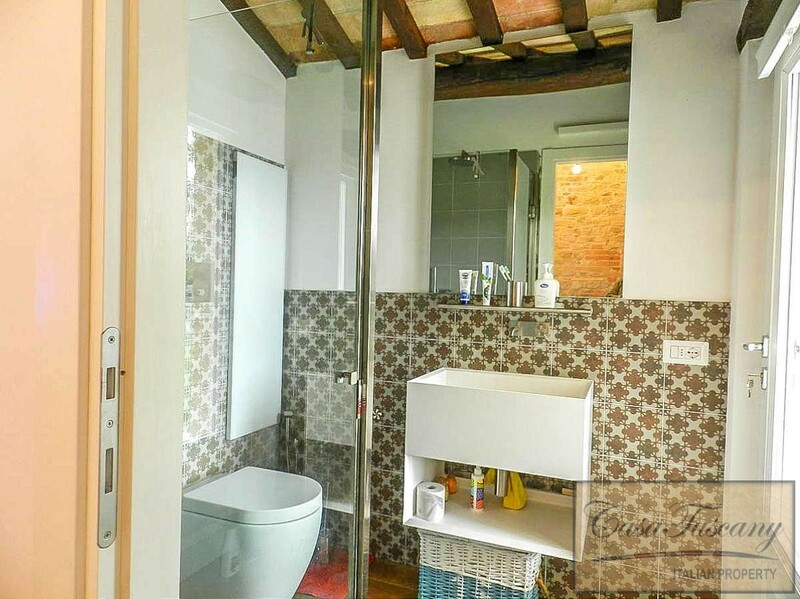 140 sqm on 2 storeys. 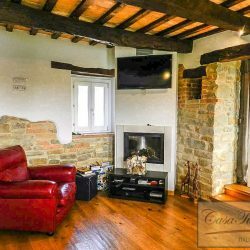 Ground Floor: Living room with fireplace, large fully equipped kitchen, guest bedroom (currently used as living area) and bathroom. 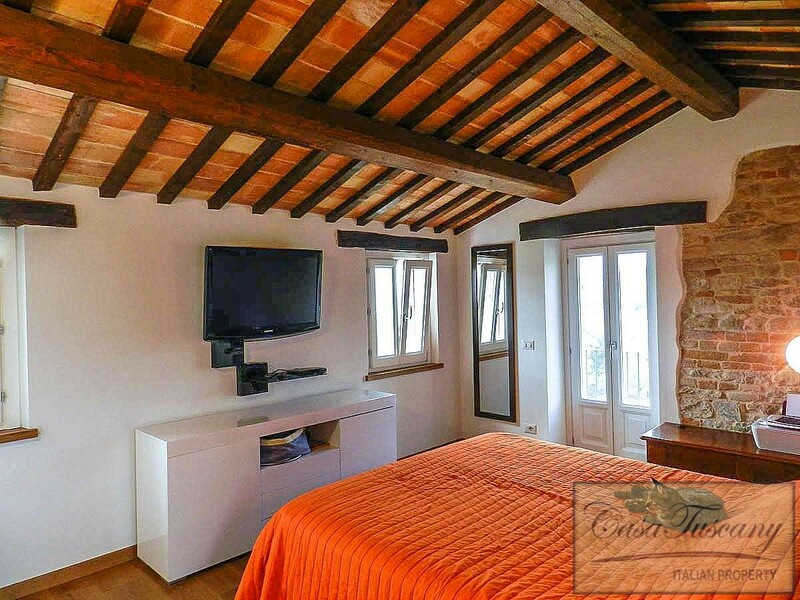 First Floor: Master bedroom with panoramic terrace, single bedroom and bathroom. 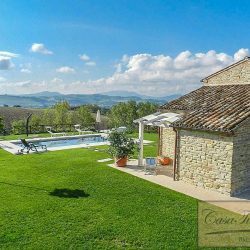 Fully fenced, illuminated, irrigated garden of about 4,700 sqm with barbecue area, pergolas, gazebo, paths and paved areas, parking area, terraced vegetable plot, playing field and a beautiful 4×9 m swimming pool with hydromassage. 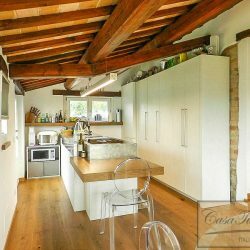 Mains water and electricity, underfloor heating, security doors and windows, wi-fi and satellite tv. 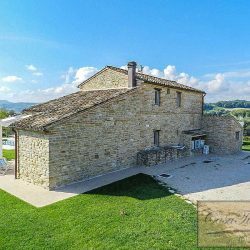 First Town with Services: 3 km, Falerone: 6 km, Shopping Malls: 20 km, Fermo: 24 km, Sibillini Mountains National Park: 25 km, Porto San Giorgio: 30 km, A14 Motorway: 30 km, Beach: 31 km, Airport of Ancona-Falconara: 77 km.